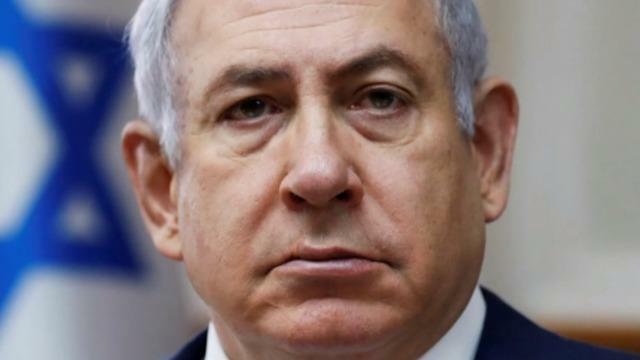 JERUSALEM -- Israeli police are questioning Prime Minister Benjamin Netanyahu for a 12th time as part of their investigations into corruption allegations. Investigators arrived Friday at Netanyahu's official residence in Jerusalem as protesters gathered outside with a large banner bearing Netanyahu's face and the words "crime minister" and chanting slogans calling for justice. Media reported that Netanyahu is to be questioned concerning two corruptions cases in which police have already recommended indictments. One involves allegedly taking gifts from billionaires, and the second involves trading positive media coverage for legislation to weaken a free daily newspaper. Police had no immediate comment. Netanyahu was last questioned by police in August concerning a corruption case involving Israel's telecom giant. The prime minister has repeatedly denied any wrongdoing, dismissing the accusations as a media "witch hunt." Two Netanyahu confidants have been arrested on suspicion of promoting regulation worth hundreds of millions of dollars to the Bezeq telecom company. In return, Bezeq's subsidiary news site, Walla, allegedly provided positive Netanyahu coverage. The confidants have turned state witnesses.